The Supreme Court on Friday required the Full Reservoir Level (FRL) in the Mullaperiyar dam to be reduced by 2-3 feet below the 142 feet mark, as allowed in its 2014 judgment, and be maintained thus till August 31. "We have also been apprised by Mr. Narasimha, learned Additional Solicitor General that, as stated by the Chairman of the Committee, the current status of reservoir and water level is at 139.99 ft at Mullaperiyar dam, which shall be maintained till 31st August, 2018. At this juncture, we may direct that the Committee which has met yesterday i.e. 23rd August, 2018, shall see to it that as far as practicable water level be maintained at the dam and both the States, namely, the States of Tamil Nadu and Kerala shall cooperate with the Committee", states the order. 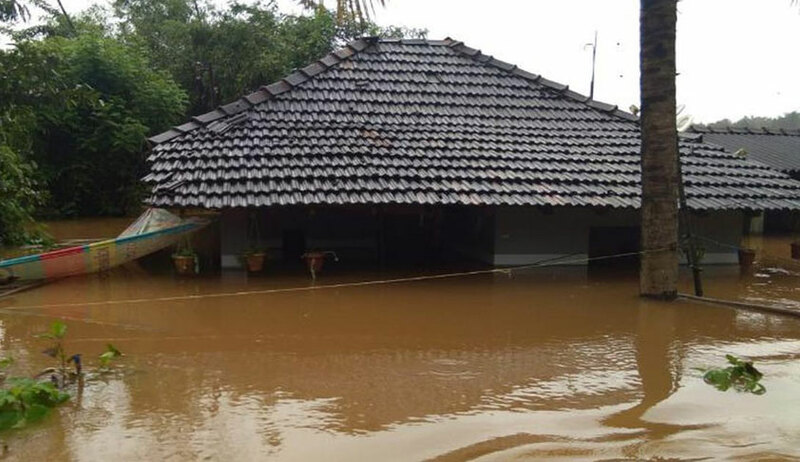 In view of the raging floods in Kerala and the level of water in the Mullaperiyar dam rising menacingly, a resident of Mullaperiyar in Kerala, Russel Joy, has knocked the doors of the Supreme Court seeking announcement of Disaster Management Plan and constant monitoring of water levels by State of Tamil Nadu. The direction on Friday came in the course of the hearing of the same by the bench of Chief Justice Dipak Misra, Justice D. Y. Chandrachud and Justice A. M. Khanwilkar. On Thursday, The State of Kerala has filed an affidavit in the Supreme Court stating that the Tamil Nadu Government’s refusal to start a controlled release of water from the Mullaperiyar dam when the water level reached 136 feet resulted in the sudden release when the FRL neared 140 feet. This sudden release is stated to be one of the causes of the deluge in Kerala. It may be noted that in 2014, in State of Tamil Nadu v. State of Kerala, the apex court had required the FRL of the dam to be restored to the elevation of 142 feet. Senior Counsel Shekhar Naphade argued that the Kerala government’s affidavit is a clever ploy to wriggle out of that judgment. However, the bench, asserting that it is only concerned with managing the devastation in Kerala on account of the floods and not in any other lis, required the state of Tamil Nadu to submit its reply by the next hearing.